MADE WITH THE BEST MATERIALS: Made with highly durable 600D polyester + 210D polyester interior lining, InsigniaX Crossbody Sling Backpacks are designed with the best materials to last long. PROVIDES EASY HANDLING OPTIONS: InsigniaX Crossbody Sling Backpack has a wide adjustable shoulder strap and a top handle - providing you with carrying options. 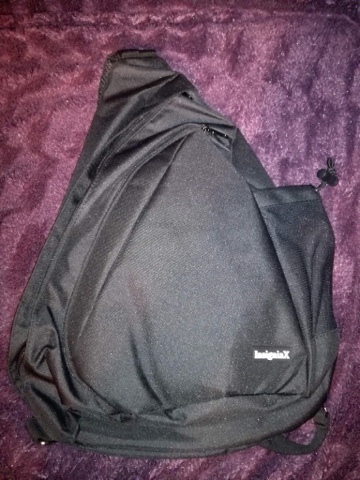 Shoulder strap clips and unclips in two places. 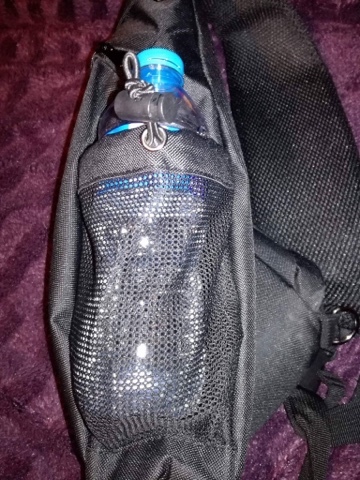 DESIGNED WITH ATTENTION TO DETAILS: 3-in-one bag with varying interior sizes, additional interior side pocket in the largest compartment, deep side pocket to carry your water bottle, and a Smartphone pocket in the shoulder strap. JUST THE RIGHT SIZE FOR YOU: With a size of H: 18.7" x W: 5.1" x L: 11.8", InsigniaX Crossbody Sling Backpack is just the right size for your multipurpose, lightweight sling baclpack needs. MONEY BACK GUARANTEE: If you are not 100% satisfied, we are happy to give you a refund or exchange, no hassles. We are very pleased with this backpack. It is great quality and the seams look strong and secure. This bag has plenty of room for everything that we need to carry, it's roomier than it looks. 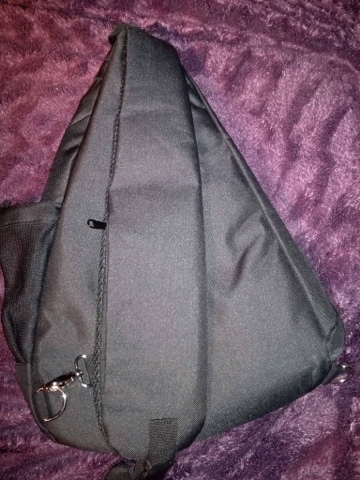 It has so many useful pockets and even a place for pens, a bottle of water and an umbrella. The InsigniaX Crossbody bag is very comfortable to wear due to the wide padded strap that has sturdy clips. The strap is adjustable so it's suitable for a wide range of different sized people. Inside the strap itself there is a pocket for your mobile phone. This is really useful and makes sure that your phone is easily accessible. Mine usually either sinks to the bottom of my bag or falls out of my pocket, so this is a much safer and more convenient place to keep it. Both my husband and I have used this bag and we both love it. Five stars.